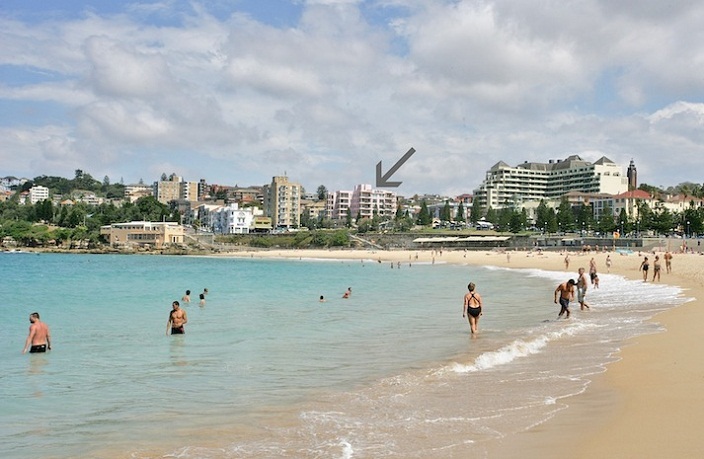 Serviced apartments in The Coogee View have large sun-drenched balconies and terraces overlooking the beach. At your convenience, just downstairs, are shops, cafes, restaurants and anything your heart desires. Typical view from the balcony of a 'Type 02 Apartment'. Typical internal furnishings showing spacious living and dining areas with large windows taking in the panoramic beach views. Our typical family sized kitchens are fully equipped and come with dishwashers. Typical master bedroom with comfortable king size bed, built in wardrobes and ensuite. View from balcony of 'Type 01 Apartment'. 'Type 01 Apartment' floor plan. 'Type 01 Apartments' have 3 bedrooms, ensuite and second bathroom, large kitchen, internal laundry, separate living and dining opening onto a huge balcony overlooking the beach. View from balcony of 'Type 02 Apartment'. 'Type 02 Apartment' floor plan. 'Type 02 Apartments' have 3 bedrooms, ensuite and second bathroom, large kitchen, internal laundry, separate living and dining opening onto a huge balcony overlooking the beach. View from balcony of 'Type 03 Apartment'. 'Type 03 Apartment' floor plan. Type 03 apartments have 2 bedrooms, ensuite and second bathroom, large kitchen, internal laundry, separate living and dining opening onto a huge balcony overlooking the beach. View from balcony of 'Type 04 Apartment'. Our Coogee view apartments, whilst not directly overlooking the beach, these type 04 apartments they take in the vibrant seaside atmosphere. 'Type 04 Apartment' floor plan. 'Type 04 Apartments' have 3 bedrooms, ensuite and second bathroom, large kitchen, internal laundry, separate oversized living and dining. The bedrooms are peaceful and are located far enough from the living areas for optimum privacy. 'Type 04 Apartments' offer either large terraces or balconies. View from balcony of 'Type 05 Apartment'. 'Type 05 Apartment' floor plan. 'Type 05 Apartments' have 3 bedrooms, ensuite and second bathroom, large kitchen, internal laundry and separate living and dining which open onto a huge balcony overlooking the beach. View from balcony of 'Type 06 Apartment'. 'Type 06 Apartment' floor plan. 'Type 06 Apartments' have 3 bedrooms, ensuite and second bathroom, large kitchen, internal laundry and separate living and dining which open onto a huge balcony overlooking the beach. 'Type 01 Apartments' on the 6th floor have very large terraces. View from terrace of 'Type 02 Apartment' on the 6th floor. A large home away from home. The bedrooms in our serviced apartments cater for families and children. They vary from big, comfortable and luxurious king size beds in the main bedrooms, queen beds in the second bedroom and all third bedrooms offer two single beds. View from terrace of 'Type 01 Apartment' on the 6th floor.